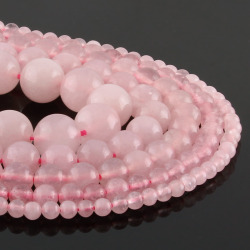 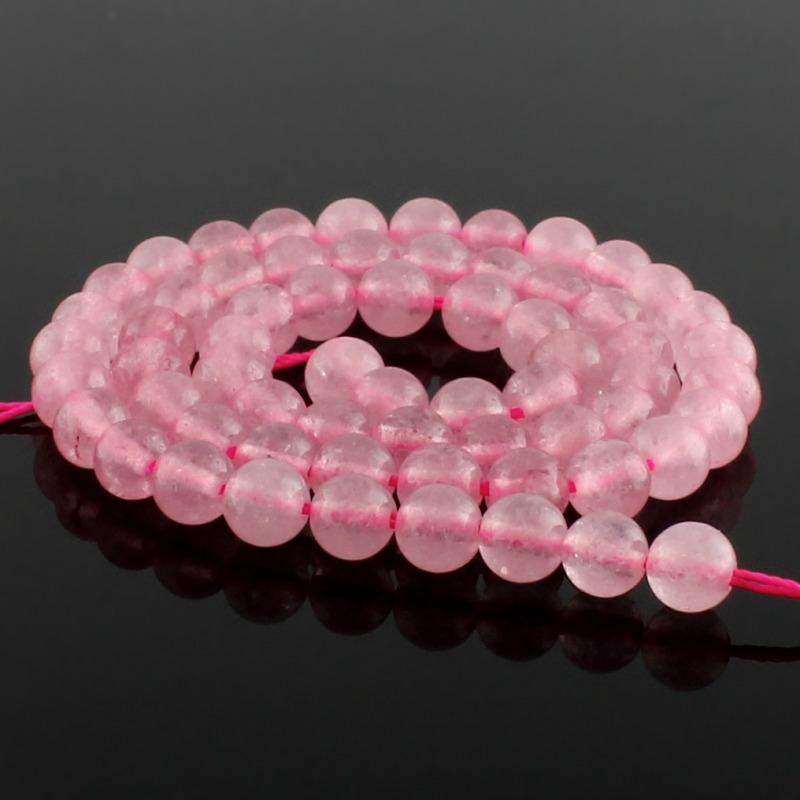 Round beads of rose quartz. 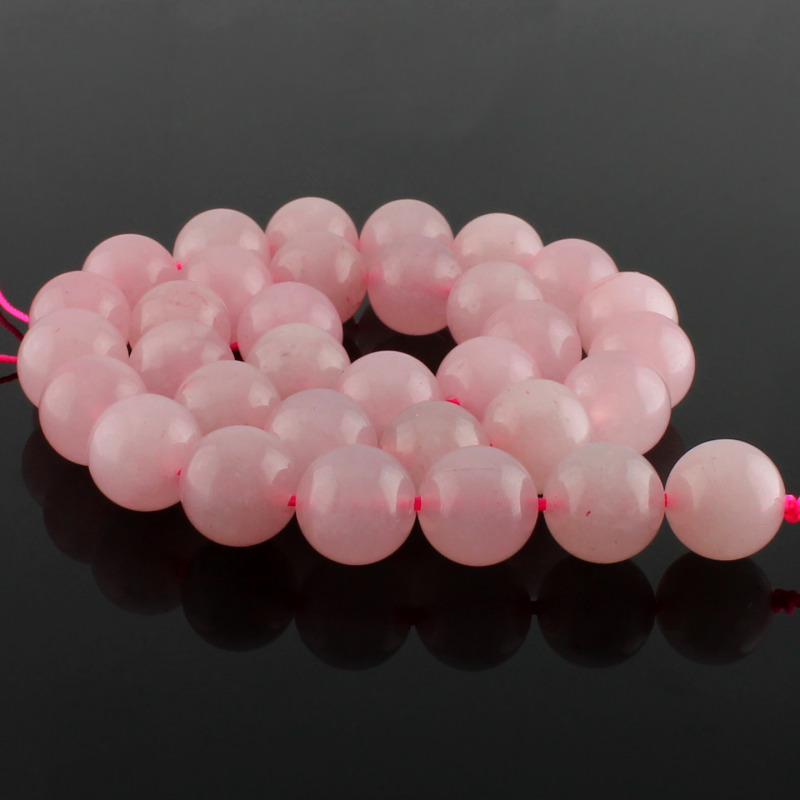 Natural rose quartz round beads, holed to make handmade jewelry. 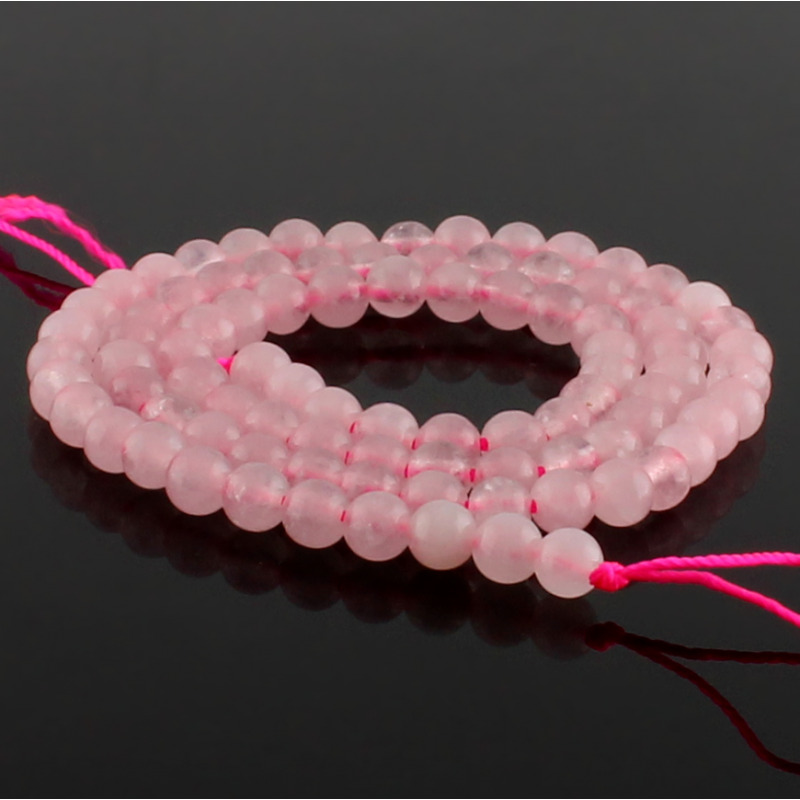 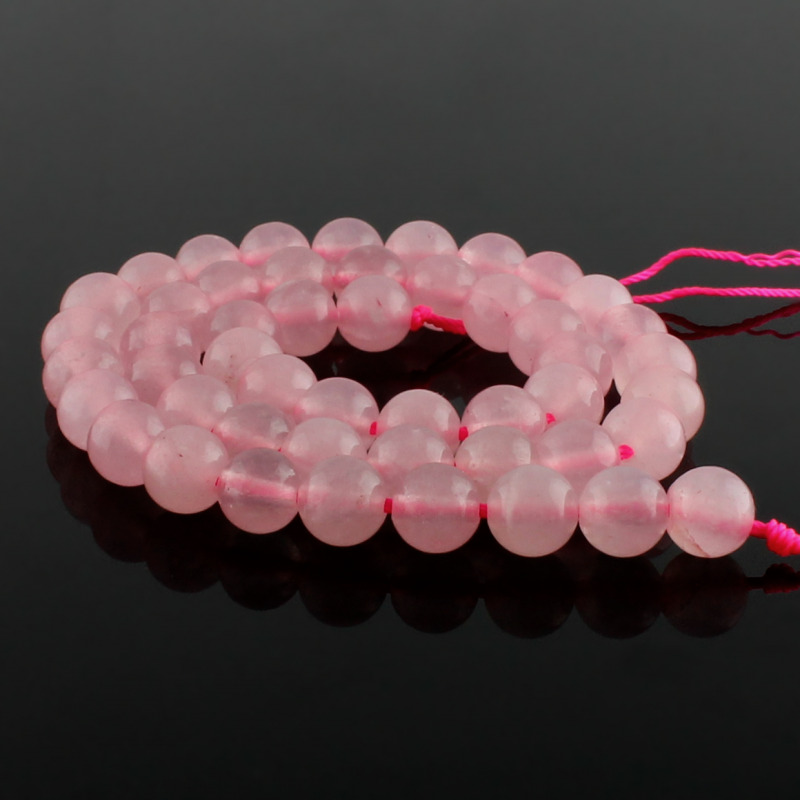 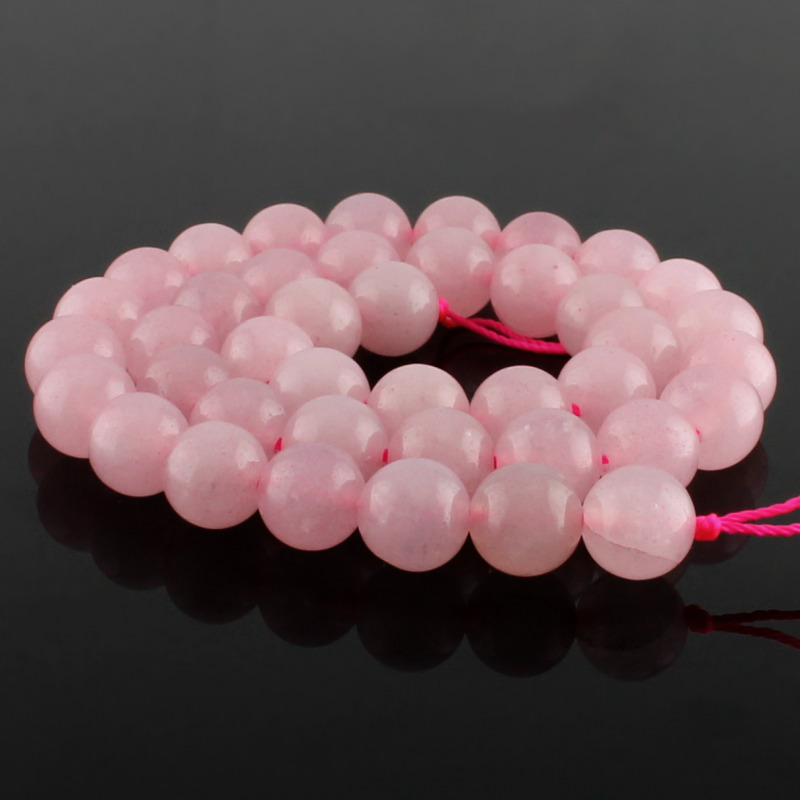 Rose quartz beads are strung into strands of 40 cm. 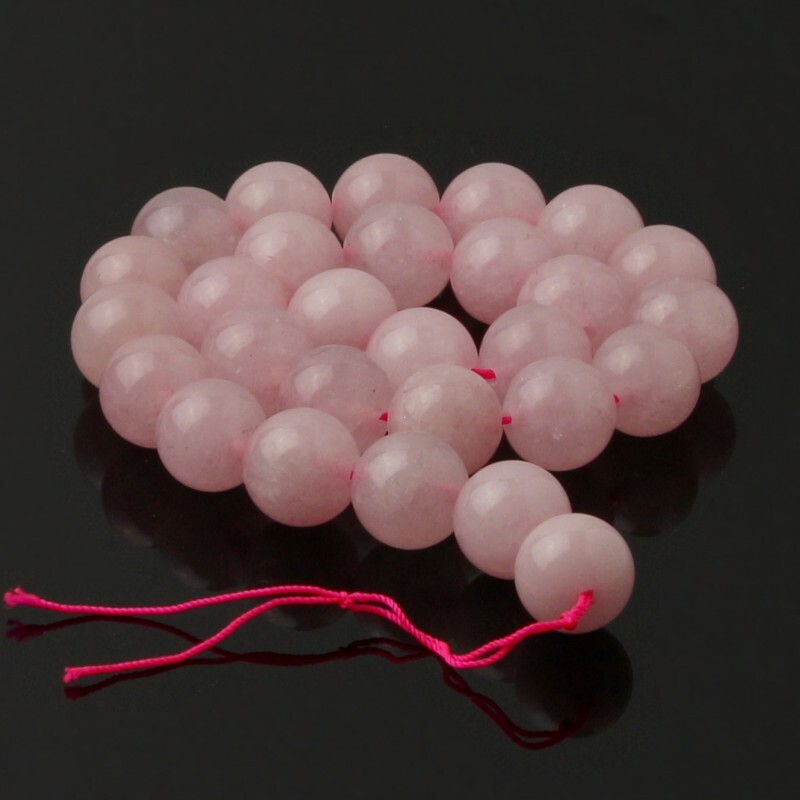 You can choose from various sizes of beads available .